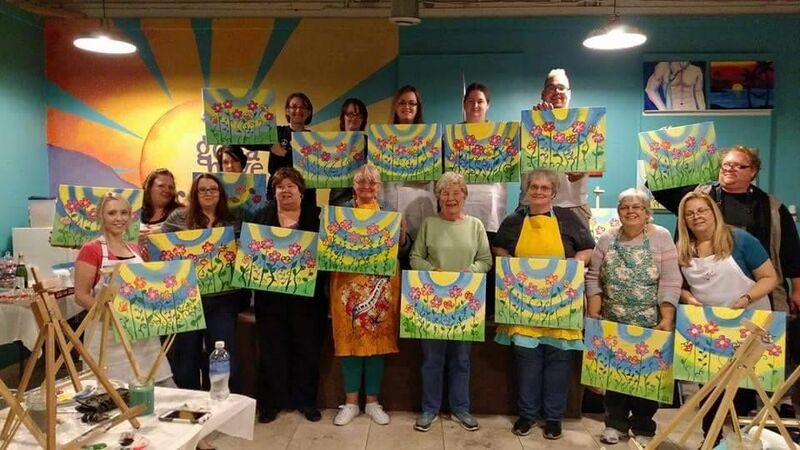 Kelly Heuss welcomed us back for our second event, allowing those in attendance to enjoy a fun evening of painting and drinks (for those that chose). The featured painting was beautiful spring inspired print that brought smiles among the amateur artists in attendance. With a portion of proceeds for the event going to Brown Bag along with a raffle, Brown Bag Food Project was able to raise almost $400. Funds raised helps us feed families across Wood County with a supply of 3 to 4 days of nutritious food and supplies. On average the value given per family is approximately $40. Therefore the event helped raise funds to help 10 families. In Wood County, nearly 15% of us face the harsh reality of not knowing where we may get our next meal or how we will make it through the weekend with enough food for our kids. With your help, the Brown Bag Food Project can assist families in need. Attending our events or even donating on our site will assist us in driving down that 15% figure. We can all help, and every dollar counts! Please consider a kind donation today.